Did Martin Luther advocate modern secular states, leaving Christian morality out of the public sphere? Or did he hopelessly confuse church and state? Did he have a consistent political approach? Dispelling myths and misinterpretations, Jarrett Carty explores Luther’s political thought in Divine Kingdom, Holy Order, the first major anthology focused on the reformer’s political writings. Carty interacts with all of Luther’s political writings, offering succinct introductions and carefully condensed presentations of the documents themselves. The anthology includes Temporal Authority, Treatise on Good Works,pertinent material from Luther’s biblical commentary, the reformer’s writings in response to the 1525 Peasants’ War, and much more. Throughout Divine Kingdom, Carty demonstrates Luther’s resolve to restore temporal government to its proper place of honor and divine purpose. 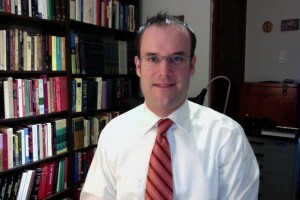 Author Jarrett Carty (Ph.D. from Notre Dame) was appointed to the Liberal Arts College of Concordia University, Montreal, Quebec, Canada, in 2006, where he teaches Western civilization courses. Carty’s areas of interest include the early modern period in political thought, as well as the ancient Greek and eighteenth-century European enlightenments. Read on for a brief interview with Dr. Carty that explores the importance of Luther’s political thought. What topics or events did Luther address in his political writings? Is there a specific period of his life in which he wrote these documents? The political writings contained in Divine Kingdom, Holy Order span Luther’s career as a reformer and cover a wide range of topics and events. The book divides the writings into three groups: first, the seminal writings of the mid-1520s, when Luther develops his “two kingdoms” doctrine; second, the applied political writings, in which Luther responded to various crises and controversies of the day (including the Peasants’ War of 1525 and the conflicts with the Holy Roman Empire); and, finally, the biblical commentaries or lectures that had a particularly strong political theme or message. How important were Luther’s political writings? What impact did they have during Luther’s lifetime and afterward? These are difficult questions to answer with absolute certainty and precision, but general answers can be made. For instance, I think Luther’s own view was that his political writings were very important, and there is ample evidence that Luther’s contemporaries and the Lutheran leaders who followed him took his political writings quite seriously, even if they departed from him concerning particular issues or teachings. My own related interest is in determining Luther’s place in the “canon” of Western political thought. Looked at from afar, I believe Luther’s great importance is undeniable, even if particular influences and impacts are not always easy to trace. Luther’s political writings deserve a great deal of attention for understanding the emergence of modern political thought and practice. Why is it important to read Luther’s political writings in context with his theological works and throughout the broad scope of his career? Luther was not a political philosopher, a magistrate, or an office holder, nor was he even (in a strict sense, at least) a political actor. Thus to truly master Luther’s political ideas, one must see them in tandem with his theology and his historical context. Without due attention to these, one could seriously misunderstand his political writings, and I think unfortunately that this continues to happen. How does continuing interaction with Luther’s writings in general and his political writings in particular benefit the church at large? Society at large? I think that studying Luther’s writings allows us to reflect on our own predicaments in modern political life and in the life of the church. Although in the end we may not necessarily want to align all our own ideas and practices with Luther’s, we can at the least benefit by reconsidering major questions such as what political power is for, what are its limits, and what relationship the church ought to have to government. Certainly, Christians will appreciate Luther’s consideration of these questions from a theologically grounded faith, but the general public will too. In reading Luther, we see that some of the roots of what we consider the “secular” (in the contemporary meaning) realm of politics grow out of profoundly theological considerations. Reading Luther’s political writings allows us to gain a critical distance from our contemporary assumptions and prejudices. How did you become interested in Luther’s political writings? I became interested in Luther’s political writings while pursuing my doctorate in political science at the University of Notre Dame, South Bend, Indiana. Originally, I had intended to focus on ancient Greek philosophy, but I quickly became hooked on Luther and the German Reformation because so many of my interests could be combined: political theory, theology, church history, and history of ideas. I also find Luther and his context a fascinating topic. There is an abundance of sources to study, both from his own age and from scholarship in our own, and even though that can be quite daunting for scholars and students, it is also very inspiring. What new insights did you gain from your study of these writings? There have been many insights, but one that stands out has been the depth to which Luther grounded his ideas in his biblical theology. In retrospect, of course, this was there all along, but in studying Luther’s political writings, a focus that at first does not seem to relate obviously to the Bible, I came to see another way in which Luther strongly thought the Bible had lessons to teach. Today it is too easy to take for granted what the Bible teaches. In my work on Luther (as in my encounters with Augustine), I am happily reminded of the depth with which one can read and understand the Bible, and I think this becomes clear to those who study the works of great Christian thinkers from antiquity or the Middle Ages. Who will benefit from reading Divine Kingdom, Holy Order? This book is for students and scholars interested in Luther, the Reformation, the history of political thought, political theology, and early modern history. I think Divine Kingdom, Holy Order is particularly advantageous because it collects into one volume sources found throughout Luther’s enormous output. I think another advantage for the reader is that the book, though it offers an introductory essay and commentary and gives essential context and a basic interpretive background, leaves room for the reader’s own interpretations, and thus should encourage more work and study on the topic. What is next on your research/writing agenda? I am currently working on a book-length interpretation of Luther’s political thought. In the long-term, I hope to turn my attention to research on the political thought of the radical Reformation, and the Counter-Reformation/Catholic Reformation. But my scholarly interests are quite varied: I have active agendas in Augustine studies, the Italian Renaissance (particularly Machiavelli), the history of philosophy, and the history of science. These scholarly fires are kept stoked by teaching at Concordia University’s Liberal Arts College, where I teach a “Great Books” curriculum. Therefore I have to keep many interests active and up-to-date. My excellent colleagues and top-notch students keep me intellectually inspired in a number of different ways. Dr. Carty, his wife, Nikki, and their daughter, Hannah, live in Ottawa, Ontario, Canada. In addition to spending time with family and friends, Dr. Carty plays hockey and runs; enjoys fly fishing, camping, and stargazing; and listens to jazz and blues. 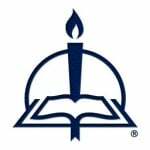 Editor's Note: Concordia University, Montreal (Quebec, Canada), is not affiliated with the Concordia University System of The Lutheran Church--Missouri Synod.